The Automobile field requires top quality levels. Such a goal can only be achieved by respecting the tough standards imposed by IATF, ISO/TS 16949. Constant training in regard to SAPA’s field of interest. Two VDA 6.3 certified professionals for the German market. Not only IATF, ISO/TS 16949: quality is also guaranteed when it comes to customer support. 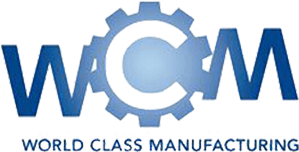 SAPA has, in fact, chosen to respect the WCM – World Class Manufacturing standards: a warranty for what concerns quality standards, not just for products, but for the company’s processes too, as they meet the highest standards for development and internal optimization in the world, leading to constant growth and improvement. Do you wish to know about the patented pending One-Shot solutions that SAPA’s prepared for you and are NOW available? SAPA was awarded the prestigious Innovation Award alongside Ford at the 2017 SPE Automotive TPO Conference in Detroit.